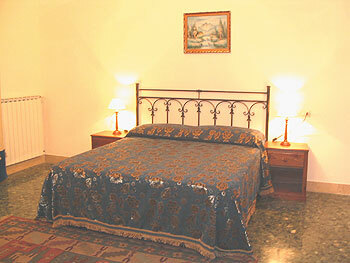 Bed & Breakfast Nobile Casa Roma is found in the historical zone of the city, in an ancient Liberty style building in Sicily (italy) street Roma, in the heart of Palermo at 300 Mt from the Central station. 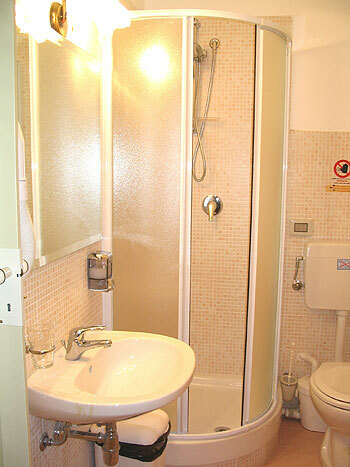 Single Bed & Breakfast NOBILE CASA ROMA has ACCOMMODATION for 16 with different types of rooms: single, matrimonial, double with twin and triple beds, quadruple with additional single beds. All the rooms are bright, thanks to the wide wood windows that look onto street Roma. Some rooms also have a small balcony. The environment is very welcoming and elegant with furniture in prestigious woods. All the rooms have a comfortable private bathroom with shower and are fitted with all comforts such as Television, Telephone, Heating, Rifrigerator Drinks, Air Conditioning, Room cleaning services Including Small cosmetic kit Hair dryer Change of sheets. Double Bed & Breakfast NOBILE CASA ROMA has ACCOMMODATION for 16 with different types of rooms: single, matrimonial, double with twin and triple beds, quadruple with additional single beds. 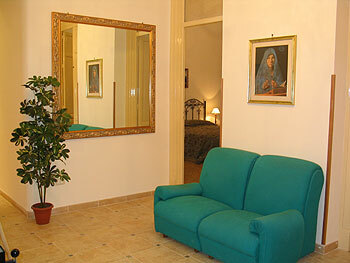 All the rooms are bright, thanks to the wide wood windows that look onto street Roma. Some rooms also have a small balcony. The environment is very welcoming and elegant with furniture in prestigious woods. All the rooms have a comfortable private bathroom with shower and are fitted with all comforts such as Television, Telephone, Heating, Rifrigerator Drinks, Air Conditioning, Room cleaning services Including Small cosmetic kit Hair dryer Change of sheets. Triple Bed & Breakfast NOBILE CASA ROMA has ACCOMMODATION for 16 with different types of rooms: single, matrimonial, double with twin and triple beds, quadruple with additional single beds. All the rooms are bright, thanks to the wide wood windows that look onto street Roma. Some rooms also have a small balcony. The environment is very welcoming and elegant with furniture in prestigious woods. All the rooms have a comfortable private bathroom with shower and are fitted with all comforts such as Television, Telephone, Heating, Rifrigerator Drinks, Air Conditioning, Room cleaning services Including Small cosmetic kit Hair dryer Change of sheets. Quadruple Bed & Breakfast NOBILE CASA ROMA has ACCOMMODATION for 16 with different types of rooms: single, matrimonial, double with twin and triple beds, quadruple with additional single beds. All the rooms are bright, thanks to the wide wood windows that look onto street Roma. Some rooms also have a small balcony. The environment is very welcoming and elegant with furniture in prestigious woods. All the rooms have a comfortable private bathroom with shower and are fitted with all comforts such as Television, Telephone, Heating, Rifrigerator Drinks, Air Conditioning, Room cleaning services Including Small cosmetic kit Hair dryer Change of sheets.